Sleep in or rest after two to three days of working out. Exercising every day might potentially decrease your performance, reducing the likelihood that you will reach your sports, fitness or health goals. Taking a day off between your normal cardio or resistance workouts, particularly very similar workouts, is essential for your body to optimally adapt to your training program. These complete rest days or active rest days enable your body to build, repair and grow tissue so you can continue to exercise and get stronger, lose weight, increase your speed or be more flexible. Rest days also allow your muscles to replenish the energy you used during previous sessions. Schedule a sprint workout on flat terrain on a Monday if you are training to run, bike, swim or row short distances as fast as you can. Take Tuesday off, or walk for 20 minutes then stretch your major muscles for 20 minutes. Complete another intense session such as sprinting up hills on a Wednesday. Refrain from any physical activities beyond your normal work and household chores on Thursday. 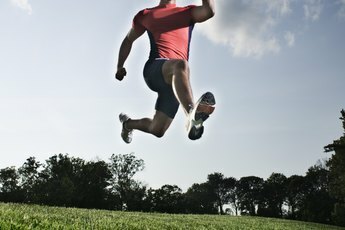 Schedule a third sprint workout different from your prior two sessions earlier in the week on Friday. Walk and stretch on Saturday. Take Sunday completely off. Train your chest and back muscles on a Monday if you are bodybuilding or training to build stronger muscles. 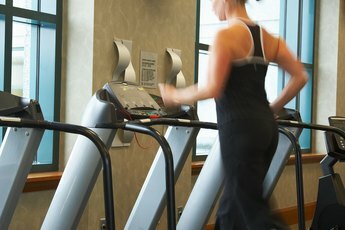 Do light cardio such as treadmill walking or an easy ride on a stationary bike for 20 to 30 minutes on Tuesday. Refrain from any physical activity on Wednesday. Complete a leg, shoulder and abdominal routine on Thursday followed by a biceps and triceps workout on Friday. Schedule another light activity on Saturday for 20 to 30 minutes. Refrain from any exercise on Sunday. Incorporate a long run, bike, swim or row on a Monday followed by a second endurance session on a Thursday if your goal is to improve your cardiovascular endurance. Perform a short run on Tuesday. For example, if you ran 10 miles on Monday, do five miles on Tuesday. Schedule a complete rest day on Wednesday, doing only your typical household and work tasks. Include a short but intense routine on Friday, such as running for only 20 minutes at a faster-than-normal pace. Walk for 20 minutes on Saturday. Stretch your major muscles for 20 minutes. Take Sunday's completely off, refraining from any exhaustive activities. Use a calendar to schedule your workouts first then add complete rest days and active rest days. Complete rest days are when you abstain from any type of exercise or moderate to highly intense physical activity; you are basically engaged only in your everyday work, household and relaxation activities. Active rest days mean that you are not doing your typical weight-training or aerobic routine, but you are physically engaged in light to moderate activities that are different from your normal workouts, such as walking, gardening, easy swimming and perhaps a relaxing yoga class. If you don't build rest days into your training program, you may suffer from overtraining syndrome. Overtraining syndrome begins first as fatigue due to lack of rest and recovery. Advanced signs of overtraining syndrome include a decrease in performance, a training plateau, burnout, decreased coordination, decreased force production, increased resting heart rate and resting blood pressure, sleep disturbances, mood disturbances and excessive sickness and infections. 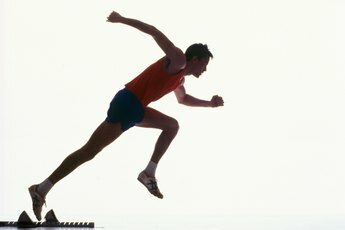 How Long Does It Take for Muscle Tissue to Deteriorate From Lack of Exercise?